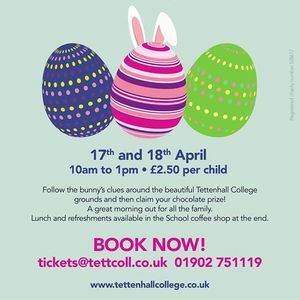 Tettenhall College will again be hosting Easter Egg Hunts during the Easter Holidays. At £2.50 per child, the hunts are a great chance for the whole family to follow the Easter Bunny's trail. Whether you're exploring our woodlands or searching for chocolate, the hunts are the perfect opportunity to see all of our stunning grounds and enjoy Spring in the great outdoors! 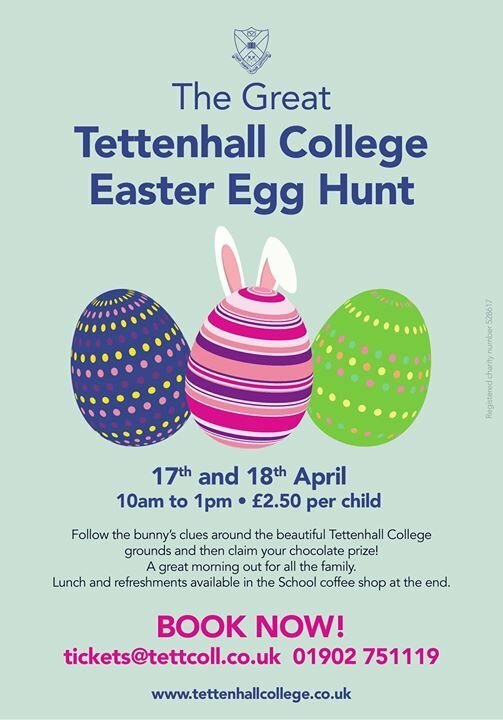 The Easter Egg Hunts will take place on the Wednesday 17th and Thursday 18th of April between 10am and 1pm. There will be refreshments available in the coffee shop both before and after the hunts, as well as some surprises! Avoid the queues by booking in advance - dGlja2V0cyB8IHRldHRjb2xsICEgY28gISB1aw== or 01902 751119. Tickets will also be available on the days.